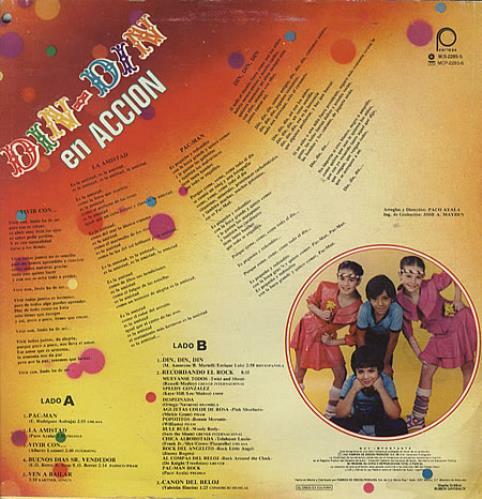 THALIA Din-Din En Accion (Mega rare 1982 early Thalia debut band 8-track LP, promotional stamped label. 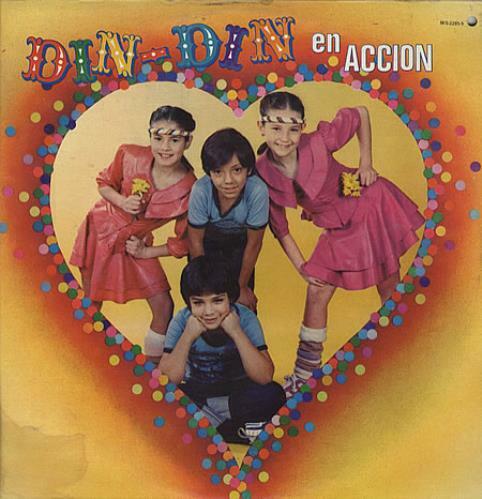 Housed inside a minor waterdamaged band picture sleeve featuring a young Thalia who is the one in the bright pink dress on the right hand side of thesleeve. This vinyl is almost impossible to locate anywhere and this is the only copy we have come across to date! ).